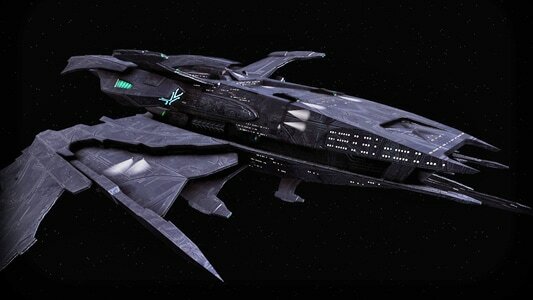 The mighty Scimitar, first seen in Star Trek: Nemesis, has been on our "to-do" list for quite some time. There's something quite appealing about a massive, apocalypse-bringing vessel that can hide in plain sight. The Scimitar is, from the ground up, a tool of war. 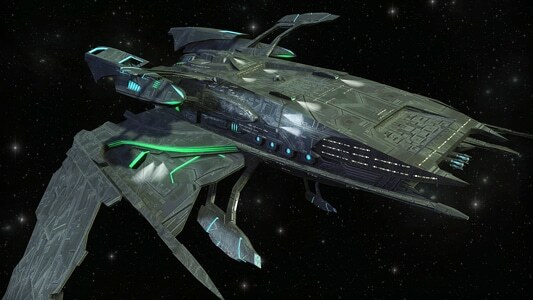 Lathered in weapons and shield emitters, this ship is certainly not one to be ignored. Along with the creation of the updated Scimitar class, we decided to create a couple of variants to this incredible Warbird: the Falchion and Tulwar classes. While each variant has its own costume, when you own all three, they grant some awesome customization of ship parts – this includes the upper and lower nacelles, the upper and lower stub-wings, the hull, and of course, the main wings themselves. 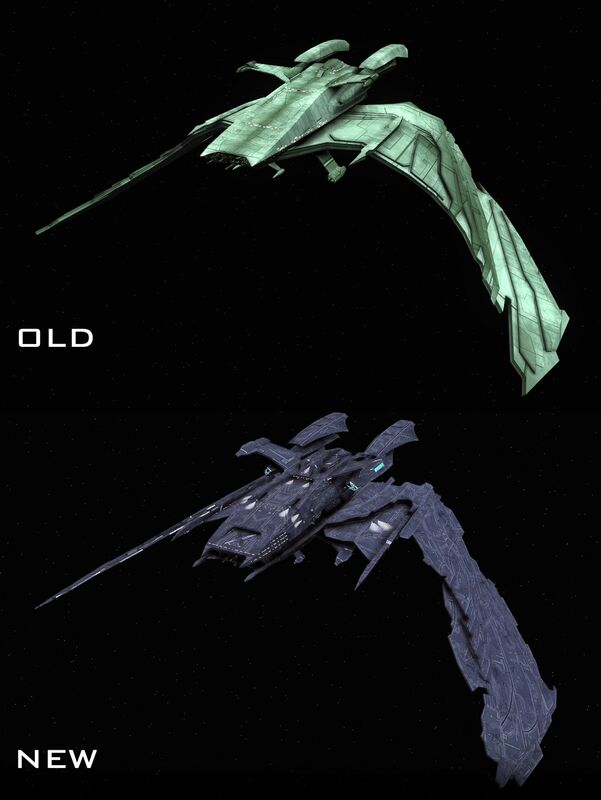 On top of that, each of the three versions has a slightly different hull material to choose from. 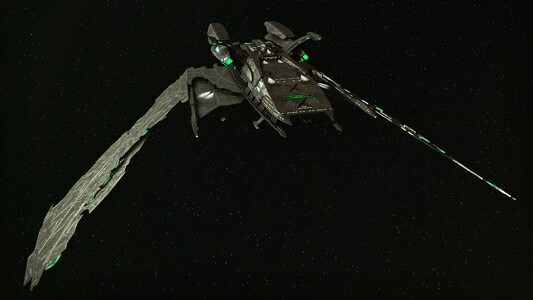 As a result, no matter what ship you choose to fly, be it the Scimitar, Falchion, Tulwar, or your own creation, you can tweak your ship to look how you want it to. It's not very hard to make sure you stand out from the crowd, when you're launching destruction towards your foes. Just like the movie, you can activate a special ability, and the wings will expand open as the power charges up – they will remain open for a short while after the power fires, and slowly fold back down. Adding ships with custom animation is never easy, nor quick, but a ship like this deserved that kind of attention, and I think you’re going to really enjoy it. The Scimitar has been represented in our game since launch, but it was never a very high quality piece of game art, as it was never intended for players to use. The launch of Legacy of Romulus has allowed us to replace these old, non-player ships with brand new art that more closely matches what you are familiar with from the various series, and movies. It has been a pleasure recreating this ship, and we hope to see all of you commanding one of these magnificent vessels very soon! More images and details on these ships, including stats and abilities, can now be found in this Dev Blog. 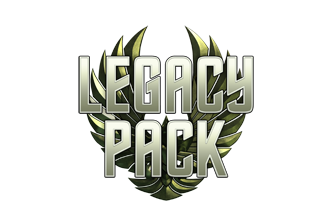 All three Romulan Dreadnought Warbirds are now available in the C-Store for individual sale (2500 ZEN) or as a 3-pack bundle (5000 ZEN).